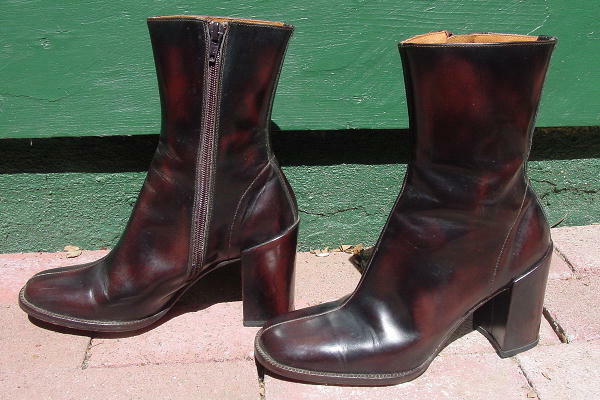 These short multi-tone dark brown leather boots are Charles David designed by Nathalie M.
They have tan soft leather linings and inner 8" zippers. The exterior leather is firm and the heels are also leather. 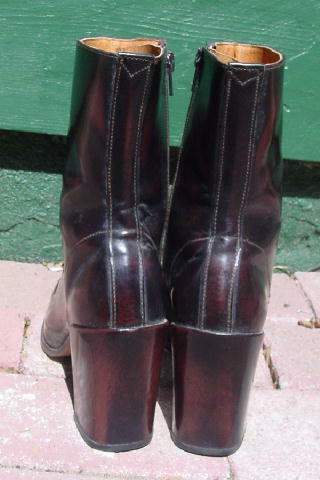 The boots have some wrinkles and scuff marks. The heels also have some scuff marks. The whitish areas on the boots in the pictures are just reflections from the sun. They're from a younger New York model, who now wears a larger size.